Fleshwash cleaner fights bacteria with triclosan, an anti-bacterial ingredient. Fleshwash cleaner is proudly made in the USA. 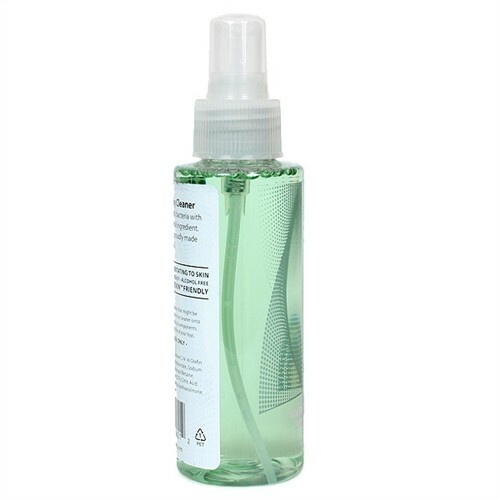 Fleshwash: Antibacterial Toy Cleaner - 4 oz. has an average product rating of 5.0 from 1 review. Features Ingredients: Triclosan, Water, Sodium C14-16 Olefin Sulfonate, Disodium Lauroamphodiacetate, Sodium Trideceth Sulfate, Cocamidopropyl Betaine, Propylene Glycol, Tetrasodium EDTA, Citric Acid, Methylchloroisothiazolinone, Methylisothiazolinone, Mint Green. 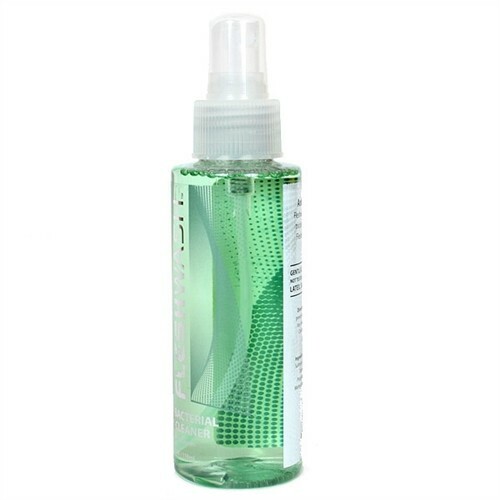 Fleshwash: Antibacterial Toy Cleaner - 4 oz. has scored a 5.0 average from 1 reviews. 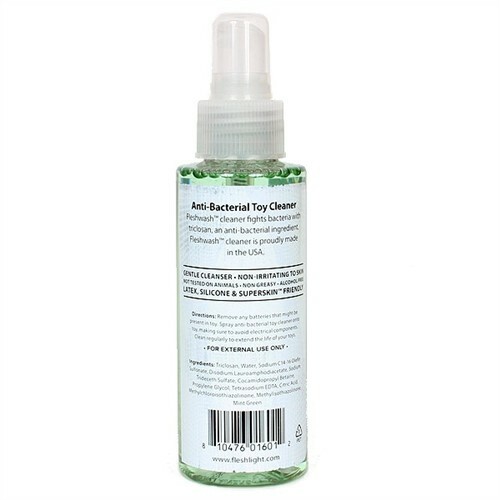 Review "Fleshwash: Antibacterial Toy Cleaner - 4 oz."